​Here is a 1941 Dodge. We believe it to be a WC40. 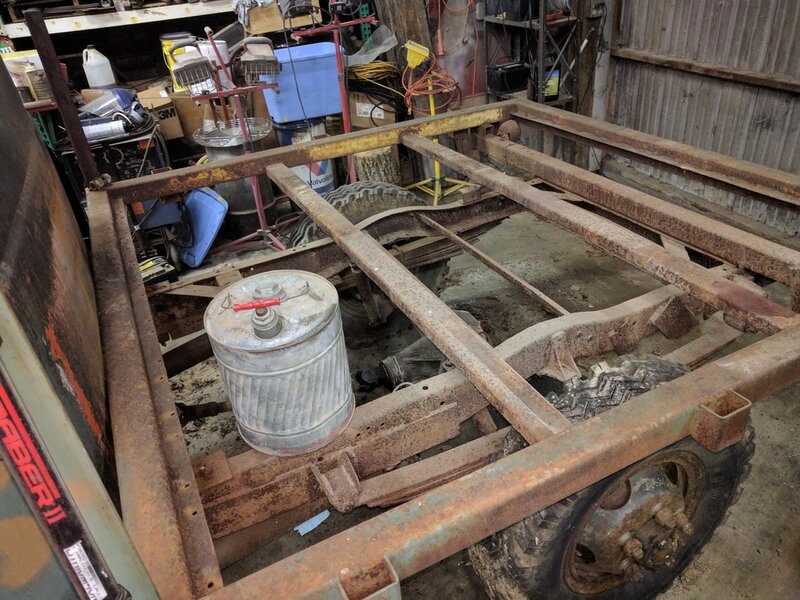 That would be a 1/2 ton, closed cab, with no body installed. 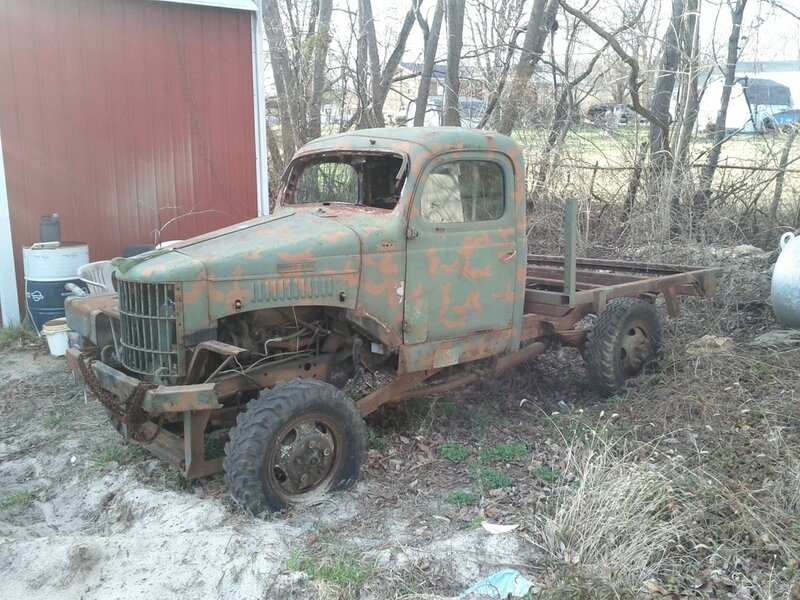 This truck was used up north in Michigan post war. It had a snow plow installed. Take a look at the extensive support constructed below the bumper and running under the frame. There was no bed installed on a WC40. This one received a pretty nice stake bed at some point in it's life. For now this will probably be maintained. Here is where the serial number is. 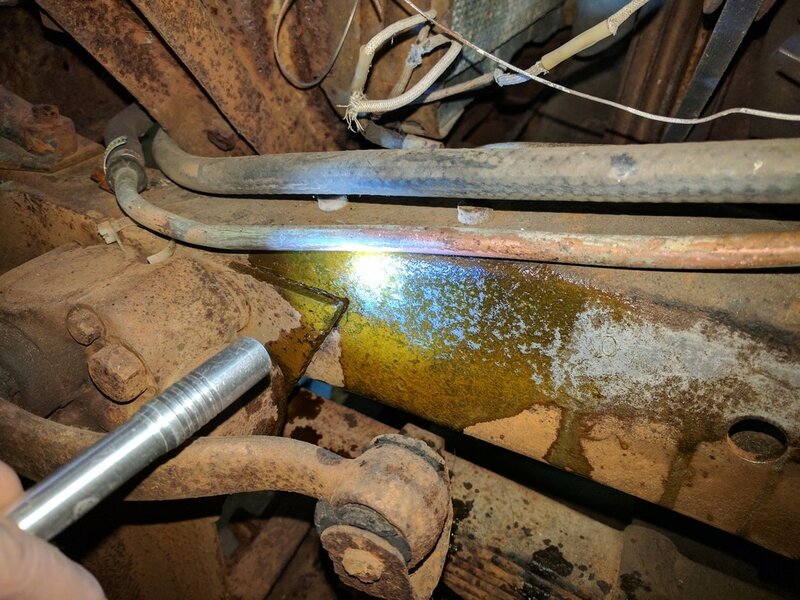 Apparently salt and water accelerate rust. Who knew?! We lightly sanded some. Nothing. Then some muratic acid was employeed to eat the rust out. Neat idea. It did remove some rust, but so far only revealed pitted metal. There are a few digits visible. We cannot come up with a full serial number yet. We can't even agree where it starts and ends!